COLUMBIA, Mo. – Corporate mergers take place around the world every day. Recently, Continental Airlines merged with United Airlines, and General Electric completed a $3 billion buyout of Dresser Inc., an energy company that specializes in gas and oil technology. When companies merge, consumers often assume that decreased competition will result in reduced service and quality and increased prices. Now, a University of Missouri professor says mergers, on average, do not result in decreased customer satisfaction. Christopher Groening, assistant professor in the University of Missouri Trulaske College of Business, says that mergers, on average, do not result in decreased customer satisfaction. Groening conducted research from 1996 to 2003 with Vikas Mittal, professor at Rice University, and Vanitha Swaminathan, an assistant professor at the University of Pittsburgh, on the effects of mergers on customer service for companies. He analyzed changes in the company’s ratings in the American Customer Service Index (ASCI). The ACSI is produced by the University of Michigan and scores customer satisfaction with companies on a scale from 1 to 100, with 100 being the top score. He found that the average pre-merger score was 76.49, and the average score one year after the merger was 76.11. Groening says this change is not statistically significant. Groening also analyzed the companys’ efficiencies and financial returns from an investor viewpoint. Although many people consider increased efficiency to be the primary benefit of a merger, firms aim to maintain or increase customer satisfaction. Firms that are able to increase customer satisfaction, as well as efficiency, have higher long-term financial outcomes than those firms that solely increase efficiency. Due to their strong connection with stock returns, Groening recommends investors look at both efficiency and customer satisfaction when deciding to invest in a company. 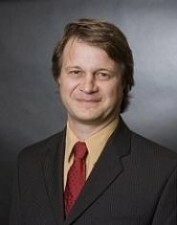 Groening is an assistant professor in the University of Missouri Trulaske College of Business. His research focuses on customer service and satisfaction. Prior to earning a master’s degree and doctorate from the University of Pittsburgh, Groening worked for nine years at several multimedia start-up companies in Silicon Valley. Groening also has published research about customer satisfaction in the Journal of Marketing.